For gardeners who take their farming very important, greenhouses are the best to consider especially when there are bad seasons or seasonal changes and especially for farmers or gardeners who live in cold climates or weather conditions. If you have always been dreaming or wishing you could garden all year without any distractions what so ever then building a green house will be perfect for you. 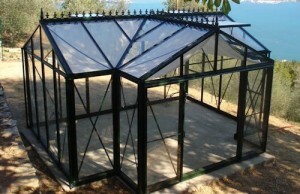 Although it might sound very good and promising, it is always important to know that building the greenhouse and having it in your home does not end there because no matter how beautiful your greenhouse might be if you do not have the right greenhouse gardening techniques to maintain and take very good care of it; it will be of no benefit to you. Greenhouse gardening is not expensive to go through all you need is the expertise to ensure that all plants are in the best of conditions by ensuring that the greenhouse has the right temperatures at all time which is warmth. There are so many benefits where greenhouse gardening is concerned like eating only fresh fruits and vegetables, your plants being protected from all kinds of harm, and so on. Most people use greenhouse gardening for commercial purposes and other private purposes but with all these two purposes, the single and common feature is the fact that quality plants are cultivated. Vegetables, fruits, flowers and herbs planted using the greenhouse are always unique and have special out ward looks which is why many gardeners advise individuals to cultivate the habit of involving themselves into greenhouse gardening. There is no problem if you think the whole gardening process seems very confusing to you so you need help, there are greenhouse gardeners around who are and will always be willing to help you out some for very little money and others nothing at all so all you have to do is to look for one who is willing to help you. Here are some tips you can use to protect your plants and greenhouse when gardening. It is always better to water your greenhouse in the morning not evening to prevent red spider mite. Growing vegetable crops in grow bags or tubes helps to prevent any plant diseases or infections. Use roll up bamboo blinds for adjustable greenhouse shades because they are affordable and do not have to cost you so much. Make sure there is adequate supply of heat to your greenhouse by channeling an avenue where electricity supply will be frequent and easy to the greenhouse. Also, most gardeners say it is very important to keep cloches out on the growing areas before adding plants or seeds which should be done at least 13 or 14 days minimum. Do not take anything for granted and make sure you know the best ways possible to keep your greenhouse garden in the best shape. Starting your greenhouse gardening in early spring is the best and also do not forget to make provision for water.